Agents Don’t Like Your Work? I’m spending a soggy morning studying scribbled comments on a story I read at a recent ninevoices’ gathering. There was one description – of a workman on a ladder – that elicited so many opposing views (talk about a Celtic and Rangers match!) that I asked people write ‘yes’ or ‘no’ in the margin. Yes! (underlined) plus the comment ‘For heaven’s sake do NOT (underlined) lose this. My cat has just strolled over the page and deposited a muddy paw print on the contentious paragraph, which may suggest a further ‘no’, though she isn’t officially a member of our group. HOWEVER – this demonstrates how differently we all view the written word. Had this been a group of agents considering a submission it might have resulted in three requests for the full manuscript. 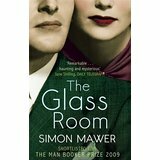 The Glass Room by Simon Mawer does just that. It was shortlisted for the Man Booker Prize in 2009 and I can see why. It is a remarkable novel, and I’m most grateful to my American friends who recommended it to me. It contains some beautiful writing. Set mostly in Czechoslovakia, the story takes us through the optimistic days of that country’s First Republic between the wars, the German occupation in WW2, the Communist era around the time of the Russian invasion of 1968, and briefly out again into freedom after the Velvet Revolution of 1989. The house is the Landauer House, inspired during a chance meeting in Venice of a wealthy honeymooning couple (Viktor and Liesel Landauer) and a brilliant cutting-edge architect (Rainer von Abt). He designs and builds for them the latest in 1930 living – a house utterly devoid of ornament, with no curves anywhere, a flat roof, using expensive and daring materials, the main living area largely encased in glass, affording a stunning view of the nearby city. 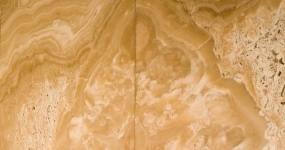 And in this Glass Room is an onyx wall, which produces breathtaking lighting and colour effects as the light changes. 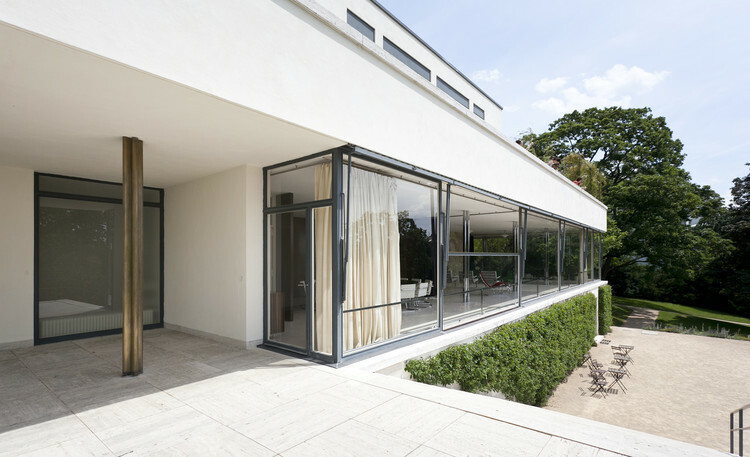 The Landauer House is in fact based on the actual Villa Tugendhat, designed by no less than Ludwig Mies van der Rohe and built in 1929–1930. It is near Brno (Město in the novel) in what is today the Czech Republic, and is on the list of UNESCO World Cultural Heritage sites. It too has a Glass Room and an onyx wall. You can visit it but you must book at least two months in advance (see http://www.tugendhat.eu/en/). We read of the inspiration, design and building of the Villa, alongside the lives of the Landauers. Viktor is Jewish, and the proprietor of a car-making company. Leisel brings up their family, and has a close friend Hana, who leads a less conventional life. On business trips to Vienna Viktor comes to regularly visit Kata, who prostitutes herself to raise money to feed her child Marika. Due to an extraordinary coincidence (which I forgive, because it enables the story to intensify and progress dramatically) these families are thrown together by the Nazi annexation of Austria in 1938 and the subsequent absorption by Germany of part and then all of the Czech lands. I won’t spoil things by saying any more about what happens to the Landauers. Suffice it to say that their being wealthy and Viktor’s being Jewish tell against them and the house is confiscated and is used by the Nazi occupiers and subsequently the Communist state. This enables us to get the other stories. For a time during the German occupation it is a eugenics laboratory, where people are measured en masse, in a bid to find physiological identifiers that would enable someone to be immediately racially classified (especially if you were Jewish). This section is largely seen from the point of view of Hauptsturmführer Stahl, who’s in charge of this operation. He has an unexpected sexual awakening in the Glass Room. We read too of the Villa’s liberation by the Red Army (a liberated occasion, one might say), and then its use in the Communist period as a gym for children at a physiotherapy clinic. Here we read of another love story, of Zdenka (who runs the gym) and the doctor Tomáš. Ever-present in all these stories are the elegant and unconventional Hana, and the dodgy Laník, the Landauers’ chauffeur who becomes the Villa’s caretaker when they leave. (How he is paid all this time is not explained.) There is a moving coda to the book. “In the Glass Room they mounted the onyx wall. The slabs had veins of amber and honey, like the contours of some distant, prehistoric landscape. They were polished to a mirror-like gloss, and once in place, the stone seemed to take hold of the light, blocking it, reflecting it, warming it with a soft, feminine hand and then, when the sun set over the Špilas fortress and shone straight at the stone, glowing fiery red. Our correspondent in Spain has alerted us to a 500-word short story competition being held as part of the Isle of Ely Arts Festival. 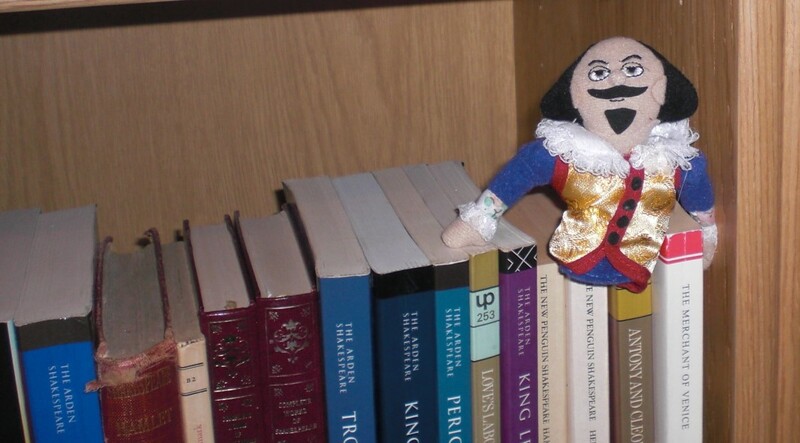 They are looking for stories inspired by Shakespeare, which should be emailed to rjwest@hotmail.com by June 15. The Festival Facebook page gives no information about prizes – perhaps la gloire will be enough – but some of you might like to have a go. Not many competitions to enter in June – half-term, holidays, the silly-season – but there are some. They are modest by comparison with the major prizes on offer at other times of the year, but it’s worth remembering that will mean less entries to compete against. Please remember to check the websites for full details before entering. Our creative writing teacher would have not have allowed us to interrupt the narrative simply to describe the meal our hero was sitting down to enjoy. No, no, I hear, you’re breaking the flow, this isn’t relevant to the plot, you’ll lose your reader. I’ve just read my first Inspector Montalbano story. I’d seen a few episodes on TV and thought I’d try one of the books. And, sure enough, just as on TV he goes to his favourite restaurant and discusses the menu with his host, here we also break for lunch. And it’s great. We are, after all, in Italy. Lunch is important. A few years ago on an anniversary trip to Venice my wife and I had foolishly allowed ourselves to be transported to the glass island of Murano; we were fearful of how we could possibly escape the inevitable hard sell at the end of the tour without too much damage to our bank balance, but to our relief we were spared because it was LUNCHTIME ON SUNDAY. All the hard sellers just disappeared, and we slipped away unnoticed. So eat on, Salvo. The nearest I can think of a parallel in English whodunits would be Poirot stopping his ratiocination to lovingly prepare a meal for Captain Hastings or Inspector Japp. 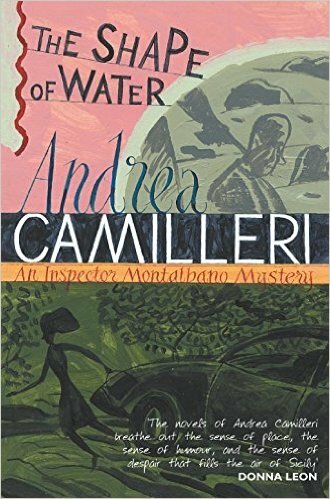 The Shape of Water, by Andrea Camilleri (translated by Stephen Sartarelli) is, as I’ve said, my first Montalbano. A complex and occasionally comic Sicilian whodunit. It wasn’t possible for me to work out the solution – we get the clues at the same time as the good Salvo himself (and sometimes afterwards). It was a quick read – with generous spacing on the page, and lots of dialogue. As well as lunch we get glimpses of Sicily, and a picture of corruption in local government and of the bureaucratic confusion of the various Italian law enforcement agencies. There are some helpful notes at the end explaining especially Sicilian and Italian references. Silvio Luparello, a well-regarded engineer and local bigwig, is found dead of a heart attack in his car in the Pasture, a squalid area known for prostitution. Our hero smells a rat: Luparello had just three days before become Provincial Secretary, leader of the Council, and after years of careful politicking to achieve that dizzy (and profitable) height would not have risked his reputation thus. Pressure to close the case from the great and the good (including the local Bishop) only encourage Montalbano to continue his investigation. A good read. I’ll read others. First published in 1994. English translation published by Picador. expectant as an empty cradle. kindled in the kitchen’s hectic heat. Lies a shirt, sleeves trailing. rumpled and reeking in the wicker bin. in the washed-out folds of my memory. Jane Austen is even more revered in America than in the UK – if that is possible. The same might be said of Barbara Pym whom Alexander McCall Smith described as ‘a modern Jane Austen’. Both authors have distinctive instantly recognisable voices; prose which can be savoured over and over again. Salley Vickers in her introduction to the Virago Modern Classics edition of Barbara Pym’s Less Than Angels explains the points of resemblance between the novels of the two authors as being ‘similarly restrained in tone, with that glimmering undersheen of English irony’. It is this perhaps that appeals so much to Americans. At a recent meeting of the Barbara Pym society in London where members heard an altogether delightful lecture about servants and home help of all kinds in her novels it was noticeable that it was the Americans in the audience who asked the more rigorous questions. Barbara Pym’s work is included alongside Jane Austen in English literature degree syllabuses at American universities. Apparently the ten shortlisted writers for the Good Housekeeping Novel Competition were contacted this afternoon. Ten ecstatic people – and something like four thousand deeply disappointed ones! I’d got quite hopeful about that competition, thinking my opening chapters promising, however my synopsis was written in a rush and I knew it was second-rate. Lesson learned: never send out anything but the polished best. Has anyone else out there missed this famous quote? I’m told just about everyone knows this, but I hadn’t come across it before and it’s comforting to know that even great writers can struggle for hours to make progress with their writing. I was working on the proof of one of my poems all morning, and took out a comma. In the afternoon I put it back again.